New York City is a big city full of opportunity, excitement, and endless attractions! For those who are new to the city, the Big Apple can be a terrifying, inconvenient place to live, not to mention a huge one! But once you’ve arrived and spent some time in the city, you’ll never want to leave or live anyplace else! When moving to the Big Apple, there are a few tips that NYC movers recommend. 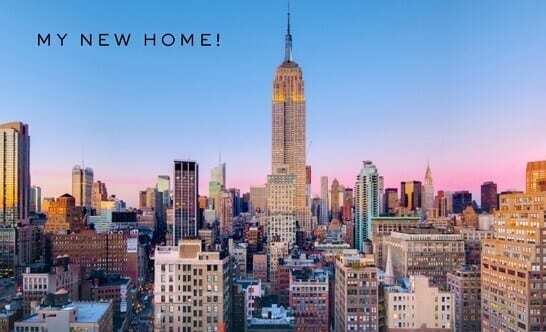 We hope that this helps to make your New York move a little easier! 1 – Forget about your car. One of the biggest advantages of living in NYC is the fact that you are not going to need a car. If you had a car, you’d be paying a small fortune just to find a place to park your car, and that definitely makes it not worth it. NYC offers plenty of options for short-distance travel (subway, bus, taxi, rideshare apps such as, Uber, Lyft and Gett), mid-distance travel (LiRR, Metro North, NJ Transit) and long-distance travel (AmTrak and Port Authority Buses). All of these travel options will save you money, the hassle of having to pay tolls, the struggle to find parking, and the potential parking tickets. Eventually, you will get used to not having your own personal transportation, and will love not having to drive everywhere you go! In NYC, the cost per square foot is exorbitantly high, which means that you might have to leave some of your possessions behind, or pay extra rent for items you don’t use. This is a good opportunity for those who are moving to NYC to go through and throw out old items, only keeping the necessary items, or putting the rest into storage. 3 – Schedule your move-in with your building. When moving to NYC, this is an important tip that most people forget or neglect to follow, and as a result, they end up not moving in on time. Depending on your building, there might be internal rules regarding when you can and can’t move in, (days or hours of the day), or if you need to reserve the use of elevators well in advance. Talk to your new management to find out a good time to move in, in order to avoid blocking the street during the busiest times of the day. Also, ask your new building management if they require the moving company to provide proof of insurance. If proof of insurance is required, put in the request with the moving company with as much notice as possible. It is a good idea to learn the building regulations to avoid breaking internal rules and upsetting management before you officially move in. Moving to NYC has so many advantages, that you will soon be glad that you made the transition to the greatest city around! Hiring the right NYC movers can help to make your move that much easier. That’s where we come in. White Glove Moving has years of experience in helping people move to and around NYC. Don’t waste your time trying to find a better moving company. White Glove Moving has them all beat when it comes to customer satisfaction!